Health Highlights is an occasionally recurring series focused on particularly interesting articles from credible sources of health and medical information that we follow & read. For a complete list of recommeded sources, see our links page. Shrink Rap – a blog by psychiatrists for psychiatrists – hosts a hot Summer Solstice edition of Grand Rounds. Dr. Shock briefly reviews the problem with generic drugs looking different from brand-name medications. Social media is making its way into clinical trials. Sally Church shares an MD Anderson Cancer Center video that describes the new trials they have open for a rare form of lymphoma, Peripheral T-Cell Lymphoma (PTCL). Mayo Clinic has been at the forefront of healthcare providers using social media. Now the organization has created an online site to connect the global Mayo Clinic community. Genetics counselor Allie Janson Hazell provides a timeline on the social aspects of genomics that illustrates the relationship between genomics and social media. Blitter is a clinical search engine with content highlighted by clinicians who blog or tweet. If they think it's important enough to comment on, Blitter considers it great content. 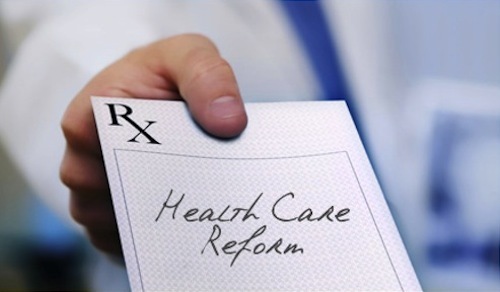 Welcome to Grand Rounds: the Impact of Healthcare Reform. There’s a revolution occurring on the Web: those “authoritative” articles written on traditional, static websites are being replaced with blogs, wikis and online social networks. In the sphere of health, medicine and information technology, this “real-time Web” consists of many who are professionals in the field; their posts are listed below. In the digital age, these are the characteristics of new media: recent, relevant, reachable and reliable. For this edition of Grand Rounds, Vol. 7 No. 11, we’re focusing on the impact of healthcare reform: what are the changes to healthcare delivery, utilization, quality, costs (either as a provider or a patient) and outcomes. After all, these changes affect everyone, whether you’re a patient, a healthcare provider or a biomedical researcher. Highlight HEALTH will be hosting the next edition of Grand Rounds, 7.11, on Tuesday, December 7th. Starting in January 2011, you’ll no longer be able to use your flexible spending account for over-the-counter medications unless you have a doctor’s prescription. For this edtion of Grand Rounds, we’d like to focus on the impact of healthcare reform: what are the changes to healthcare delivery, utilization, quality, costs (either as a provider or a patient) or outcomes. After all, these changes affect everyone, whether you’re a healthcare provider, a biomedical researcher and/or a patient. As host, I invite you to send your submissions. Grand Rounds is a weekly rotating summary of the best health and medical posts on the Web. Established in 2003, Grand Rounds is the oldest and most popular medical blog carnival on the Internet. Previous editions are listed at Blogborygmi and a calendar of upcoming editions is listed at Better Health. Submissions are due by Sunday, December 5th at 10:00:00 UTC (6:00pm EST). The theme is “The Impact of Healthcare Reform”. Please use the following format and send your submissions to walter[at]highlighthealth.com.